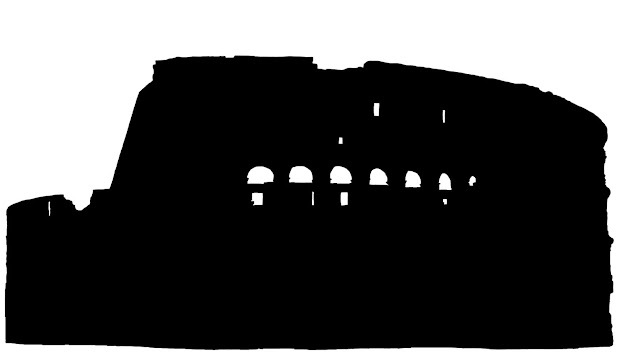 Here are some sketches and silhouettes of the famous Colosseum of Rome, a landmark of the city of Rome. 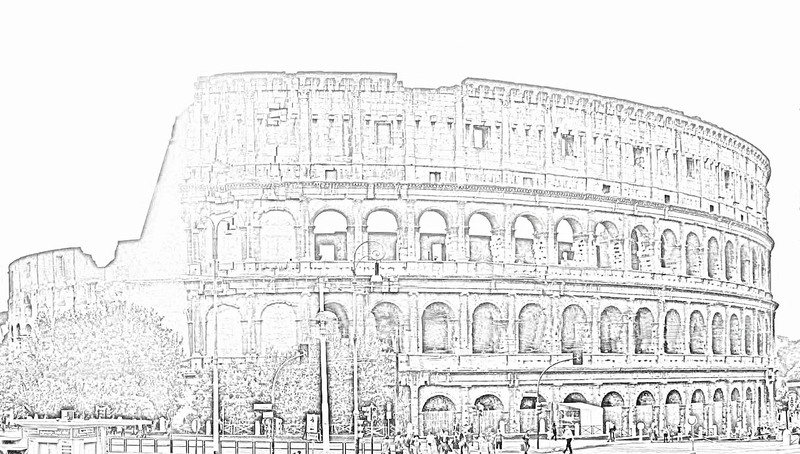 This one is a full front view of the Colosseum. And the silhouette based on the photo. This is another view, from the side. 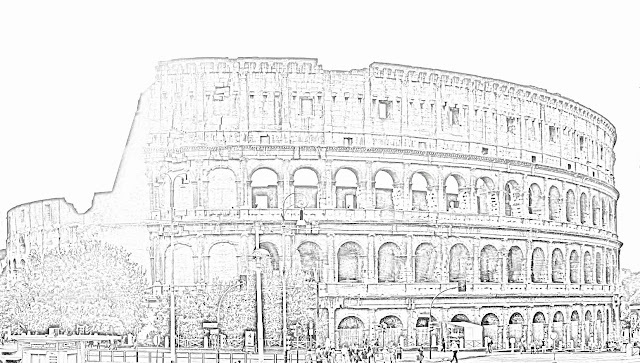 You can see how much of the Colosseum is in ruins. The view from the side makes for a more interesting silhouette. Or try the label Silhouettes or the label Sketches for more silhouettes and sketches of monuments, buildings and people.